Prepare yourself for April showers! 1. 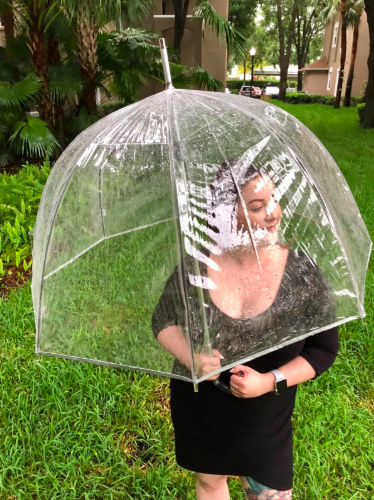 A Totes bubble dome umbrella with a clear canopy so you can have maximum rain coverage but still see where you're walking. 2. 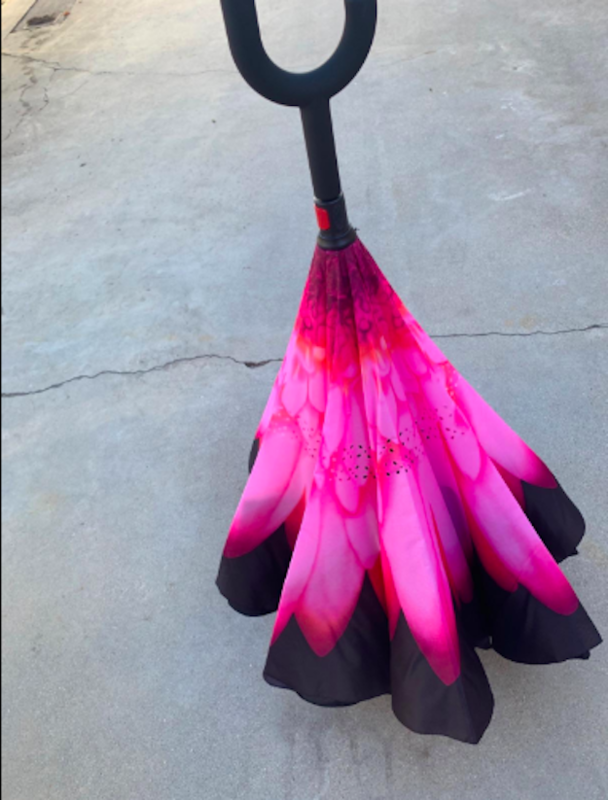 An inverted umbrella to help keep your body *and* your home and car dry, because its design allows you to fold the wet layer into the dry layer — meaning there's no dripping when you're done using it. 3. 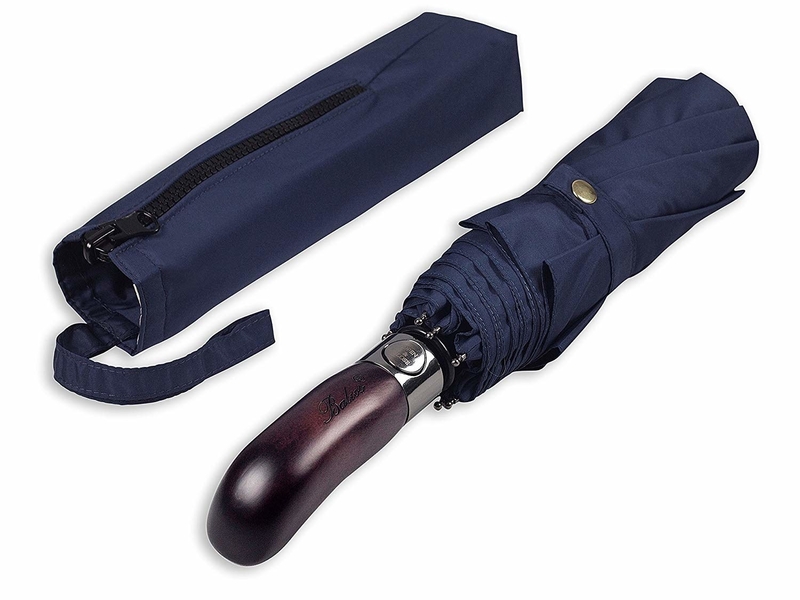 A travel-sized umbrella featuring a sleek, wood handle so you can protect yourself from the rain in style. 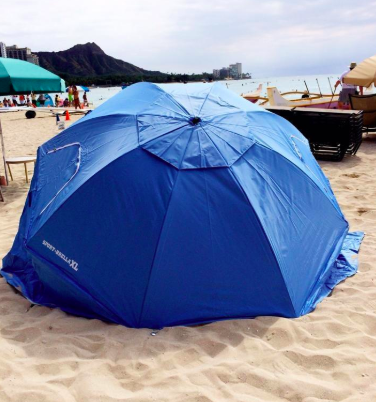 It has an automatic open/close feature and a vented, windproof double canopy! 4. 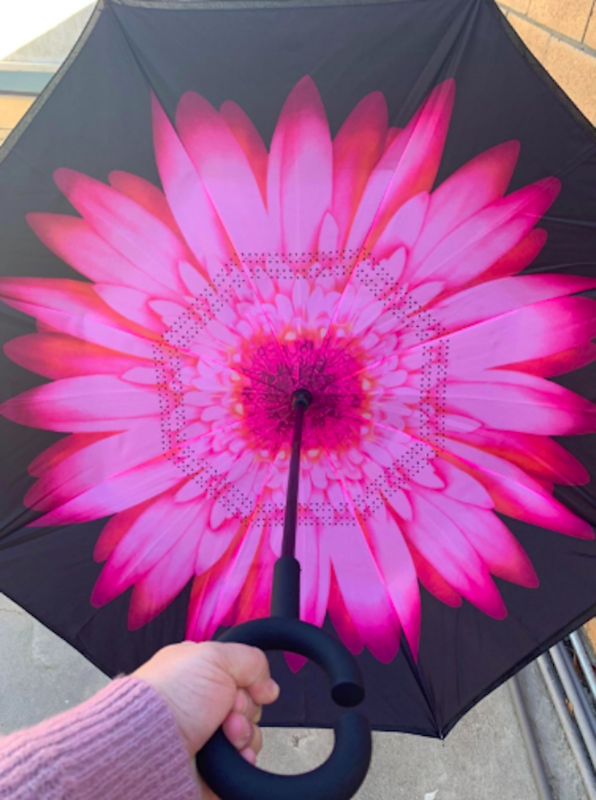 An over-sized golf umbrella made in a special micro-weave fabric that's no match for even the heaviest of rainstorms or sunniest of days. This silk-derived material is lightweight, mold resistant, and quick-drying with SPF 50+ protection. 5. A J-stick umbrella featuring a classic wood handle so you're ready for any occasion or weather condition. The handle is easy to grip and the metal tip ensures durability. 6. 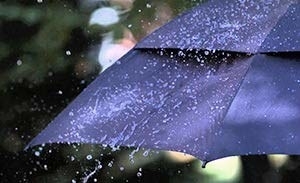 An LED umbrella to light up the way as your walking through a dreary rainstorm. It requires AAA batteries but you'll need to purchase some. You can get a 36-pack from Amazon for $8.09. 7. 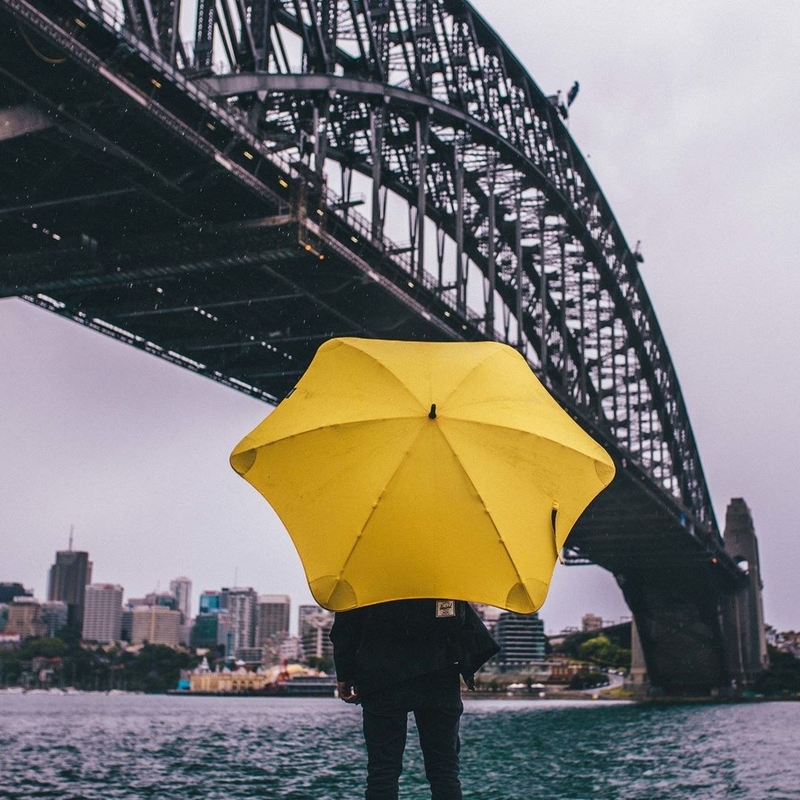 A windproof travel umbrella that has a Teflon coating — meaning it's waterproof and will dry almost instantly. 8. 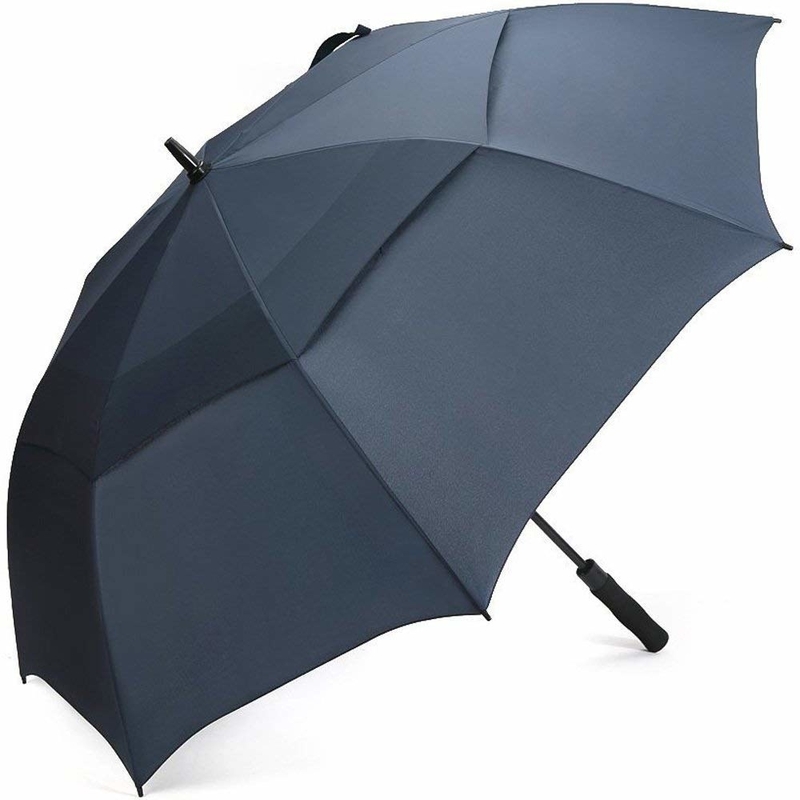 A compact, double canopy umbrella that'll provide major coverage and still fold up into a small lil' pouch. 9. 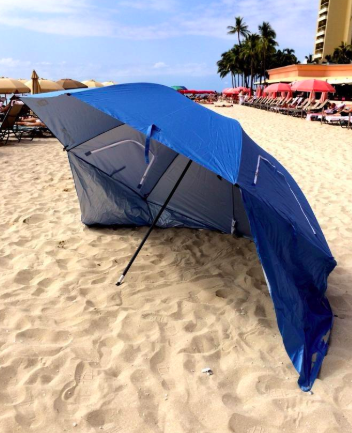 A Sportbrella canopy to help you have the perfect beach day. 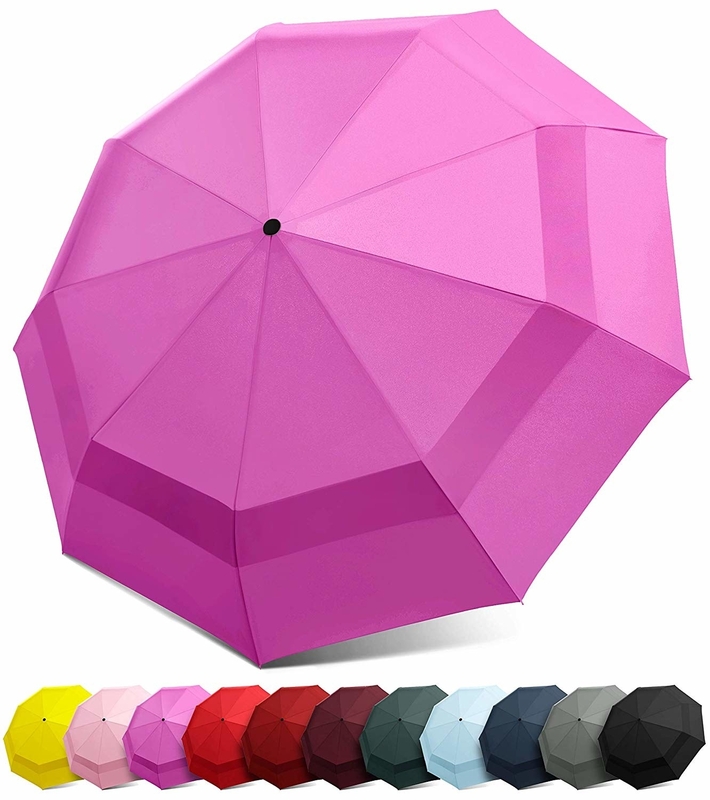 Huddle under it for protection from the sun or an unexpected rain shower. Promising review: "I don't often bother to write reviews, but this product is worth the time. 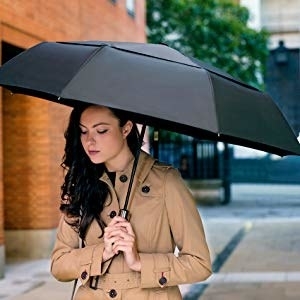 For the last four years I have relied on this to shield me at football, softball, and baseball games in both blazing sun and miserable rain. Because it's an umbrella, and has handy screen openings, I get plenty of breeze when it's a scorching day. But the huge canopy also provides plenty of coverage in rain. People I don't know always approach me and ask where I got this and whether it's easy to use. I have raved over this for years now!" —D. 10. OR! A Sportbrella that latches on to chairs and strollers, and folds up easily so you can take it on whatever adventure you have planned next. 11. 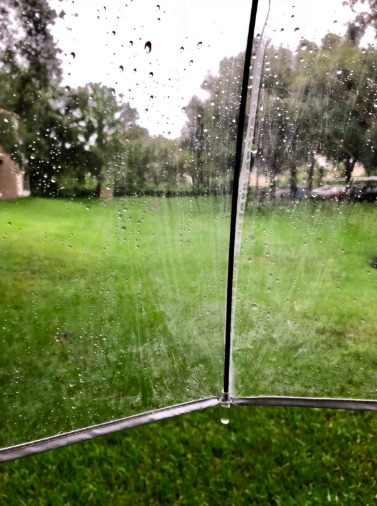 A Rainmate umbrella made with fail-safe flip technology that'll make sure it won't flip inside out and leave you stranded in the rain. 12. 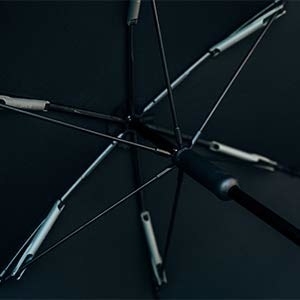 And lastly, a splurge-worthy umbrella which uses six fiberglass rods to create balance and ensure it can withstand heavy downpour and high wind.